Who knows when you may need to jot down a message or a quote? 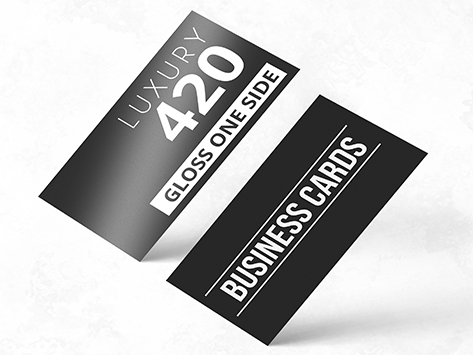 Our gloss business cards are still the industry darling for every situation. Featuring unrivalled protection on the front and a UV cured back, they are perfect for those who like to write on their business cards.